There are 6 Memory Care Facilities in the Marysville area, with 3 in Marysville and 3 nearby. The average cost of memory care in Marysville is $4,615 per month. This is lower than the national median of $4,650. Cheaper nearby regions include Dublin with an average starting cost of $4,448. To help you with your search, browse the 2 reviews below for memory care facilities in Marysville. On average, consumers rate memory care in Marysville 4.0 out of 5 stars. Better rated regions include Powell with an average rating of 5.0 out of 5 stars. In Ohio, there are 220,000 people living with Alzheimer's disease. Some of these people are seniors age 65 and older, which make up 9.8 percent of Marysville's 23,912 population. To serve area seniors with dementia, Marysville is home to six memory care communities, which are housed inside assisted living facilities. Those looking for an area community will find three facilities with memory care units in Marysville proper and three more in neighboring communities. 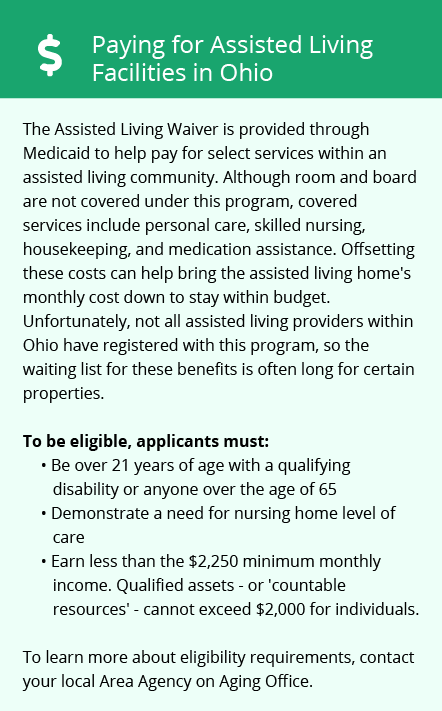 Like other assisted living facilities in Ohio, those with memory care units in Marysville are licensed and regulated by the Ohio Department of Health. The Marysville area is home to world-class medical facilities, including those specializing in brain health and dementia care ,such as Memorial Health Hospital, in the event of medical emergencies or illness. The weather in Marysville is fairly typical for south-central Ohio. Temperatures are moderate for most of the year, with summer highs averaging 71 degrees Fahrenheit in July. Winter weather is a bit harsher, which could make it difficult for families to visit loved ones residing in a Marysville memory care facility. Snow is common between November and March, and winter lows average 25 degrees Fahrenheit in January. Seniors with a fixed or low income should find Marysville affordable. While the city's overall cost of living is 2 percent higher than the state average, it's still 7 percent lower than the national average. Also, healthcare costs are 3 percent lower than the state average and 8 percent lower than the U.S. average. Marysville seniors and their loved ones don't have to worry much about crime. Marysville is safer than 92 percent of U.S. cities, and the overall crime rate is 5 percent lower than the national average. Memory Care costs in Marysville start around $4,615 per month on average, while the nationwide average cost of memory care is $4,799 per month. To see a list of free memory care resources in Marysville, please visit our Assisted Living in Ohio page. 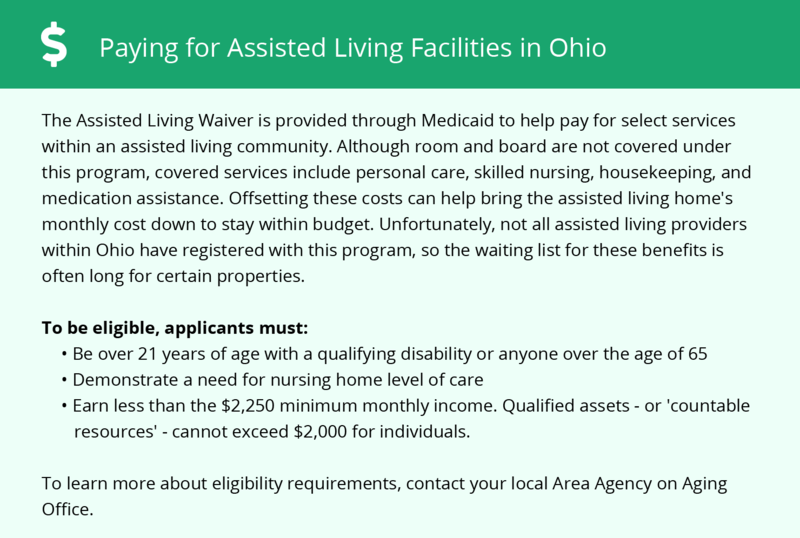 Marysville-area assisted living communities must adhere to the comprehensive set of state laws and regulations that all assisted living communities in Ohio are required to follow. Visit our Memory Care in Ohio page for more information about these laws.